investing in underperforming distressed troubled companies. Investors and lenders aren't in the business of closing down companies — nor do they want to be. When an investment or credit becomes financially troubled, they often seek an alternative to closing down the business. A company's financial problems often result from mismanagement. When existing management doesn't possess skills to deal with crisis, a turnaround specialist may be needed. When trouble occurs, many investors want to insert themselves as the CEO to determine what should be done. While they may have run financial or investing institutions, few have run companies as well, and are ill equipped to do so. There is substantial value derived from investors who also have senior operating leadership experience in their background. They can determine whether one strategy or another can affect the revitalization, and why others didn’t work in the past. Many equity firms are adding operating executive (CEO) talent to compliment their managing partners, even in times when resources are tight. Someone once said, “Lead, follow, or get out of the way.” When there is an underperforming entity, it is time for existing management to “get out of the way.” They guided the company during this mismanagement slide, so why allow them to complicate the situation any further? Most lending institutions send troubled credits to the "work out" department. Make no mistake, this step is usually the first in a long legal process that works the credit out of the bank. The specialist can add value by stabilizing a situation and bringing credibility; thereby making the credit more desirable to the next tier lender with an appetite for more risk. Foreclosure is painful for lender, borrower, and other stakeholders. At the very least there will be substantial legal fees, other costs, loan loss reserves, and perhaps a loss of principal. In many cases, it is in everyone's best interest to restore the company to financial health. The management skills necessary to rescue a troubled company are dramatically different from those needed to manage operations and growth in a healthy company. In a healthy company, management focuses on long term objectives, coaching, and team building. With the luxury of time, the occasional mistake generally will not do lasting harm. However, in a financially distressed company, time becomes the enemy. As the company's problems compound and cash flow evaporates, it becomes critical for management to act quickly and decisively. In a turnaround situation, management must focus on short-term survival. While a manager in a stable environment should be known among employees and shareholders for consistency in making decisions, a manager in a troubled company must be able to shift gears to deal with the daily crises that inevitably occur. Existing management often goes through a "denial" phase. They tend to blame their situation on external factors, such as the lender's refusal to advance additional funds, rather than examining the way the company is managed. In the eyes of management, the lender becomes an enemy. If a negative view of the lender's role develops, the lender may need leverage (a condition of added financing, or threat of foreclosure) to recommend use of an outside advisor. Lenders should avoid deciding on which turnaround professional the borrower should use. Lenders can insist on the use of a turnaround specialist, perhaps as a condition of additional capital. 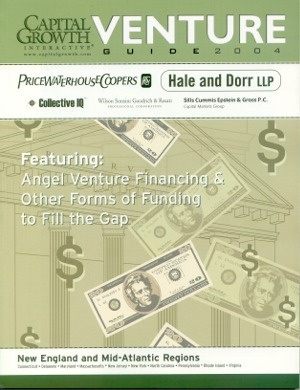 Many lenders present the borrower with a "short list" of specialists; however, the company should be free to choose its own advisor or leader. By recommending a particular professional, the lender may expose the bank to liability. There can be personal liability associated with being on the board, the leader or decision-maker. If things go wrong and the company gets into trouble there are reporting and response obligations that must be dealt with. In the case of potential fraud or wrongdoing investigating authorities will require much time of the board members or leadership. Taxing and labor regulation agencies will want to assure that reporting and employees respectively were handled properly. The potential for legal actions increases. Be assured that there is time required and potential liability, which you may not have planned for, if the company gets into trouble. Turnaround specialists generally are either interim managers or consultants. Interim managers will replace the CEO, take the decision-making reins and hopefully guide the company through troubled waters to safety. Consultants advise management; possibly the same management that got the company into trouble in the first place. Whether a consultant is effective depends on management's willingness to listen and to implement the specialist's recommendations. A turnaround specialist must possess the skills to deal with a financially troubled company and have the ability to make the tough decisions needed during a recovery. Specialists are hired for their management ability; the ability to bring order out of chaos; the ability to marshal resources and maximize value from those diverse resources. If the company requires special expertise, then the specialist will attract that expertise. Remember, experience in dealing with crises and change may be more important than industry experience. A turnaround professional must be financially credible and honor commitments. The company, bank and other interested parties should be able to rely on the specialist to protect their interests while providing accurate information they need on a timely basis. The sooner that trouble is detected, the more probability of turnaround success. Review proposals versus what can realistically be accomplished. Hire an individual, not the firm; personal chemistry with the managers is critical. Should it be saved? Why? Is there a core business which can be the source for the emerging business? Are there sufficient cash resources to fuel the recovery? Which existing managers are capable of leading parts of the company? Remember, not all companies are salvageable. This fact-finding must occur as quickly as possible so that a realistic assessment of the current state of the company can be prepared. The specialist's first priority will be to manage cash flow, to stop the hemorrhage. Analyzing sales and profit centers and asset utilization should indicate where the real problems, not the symptoms, are located. Next a business plan outlining possible courses of action will be prepared. Once the course of action is chosen, implementation and monitoring can occur. The specialist should remain involved at least until the business is stabilized, and preferably until the transformation is complete. The Turnaround Management Association, based in Chicago, can be one source for professionals. TMA has developed a Certified Turnaround Professional (CTP) program to help the selection process. TMA also offers loan officers a training forum to learn more about the benefits derived from working with turnaround specialists. A good turnaround specialist will develop a permanent management team within the company to preserve value, instead of hiring a large team of outsiders who, when they leave, take that value with them. The specialist should work themselves out of a job to be most effective, while leaving the company with the ability to grow and prosper as a standalone going concern. Strategic Management Partners has substantial experience advising corporations and individuals on the strategic and mechanical issues of corporate development and governance, operating management and turnarounds for asset recovery. Our principal has over 30 years experience in P/L Management, Strategic Planning and Repositioning, M&A for Strategic Advantage, Finance, Investing, Raising Funds, Sales/Business Development, Building Selling and Marketing Teams, and Operational Auditing = In Public & Private companies = In healthy and crisis situations. We work with and support the equity capital community to provide assessment studies to determine the situation, planning and strategy development to direct the company, crisis management to oversee that assets are not squandered away, workout teams that recover assets, and board level oversight to keep the client headed in the right direction. We provide expert witness testimony when required. We seek strategic alliances with private equity funds. Copyright © 2004-2005 Strategic Management Partners, Inc.